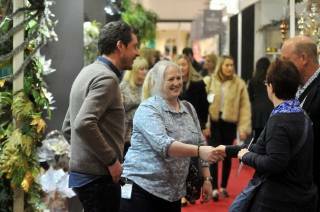 Harrogate Christmas & Gift enjoyed another bustling show this year, with over 5,000 visitors flocking to the Harrogate Convention Centre to see the very best products that the industry has to offer. If you didn’t manage to get around to seeing all of your favourite suppliers or wish that you had taken a second look at potential new stock lines at the show, details of all exhibitors’ are available on the website . A huge thank you from the show organising team and all its exhibitors for visiting this year and making the event a huge success for all involved. The dates for next year’s show are 12th to 15th January 2020 and we look forward to seeing you all then. In the meantime, we wish you all a very happy and prosperous 2019.